Love listening to music while you’re out and about? 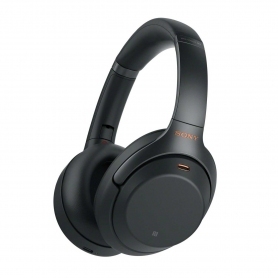 These Sony headphones are lightweight, wireless and perfect for taking with you wherever you go. Coming in a stylish black, they will go perfectly with any outfit or device. Digital Sound Enhancement Engine: Restores the high-range sound lost in compression to give you a richer, fuller audio. 40 mm Dome Driver: From the deepest bass tones to the purest high pitches, you’ll get a wide frequency range that produces professional quality. 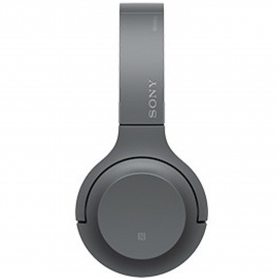 LDAC: Sony’s new audio technology allows you to enjoy great quality wireless audio via Bluetooth. You’ll be able to enjoy and experience even the subtlest of noises with high-resolution audio. Feel as if the artist is in front of you with this stunning sound quality. The WHH800BCE7 are designed as the perfect travel companion. 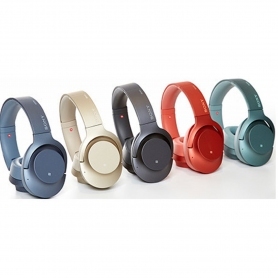 From the daily commute to jetting off on holiday, you won’t want to be without your Sony wireless headphones. Simply pair your phone with the Bluetooth or NFC connection to enjoy your entire music library. And, with a 24-hour battery life, you can listen to music freely without worrying about losing power. You can even get 90 minutes of playback from just 10 minutes of charge. Adjust the lightweight headband to fit your hairstyle and head shape, so you can always look your best. When you’re not listening to music, the headphones can be folded and stored away easily. You can also adjust the equaliser and bass levels with the free Sony Headphones Connect App. Use your iOS or Android smartphone to fine-tune your audio – exactly how you like. 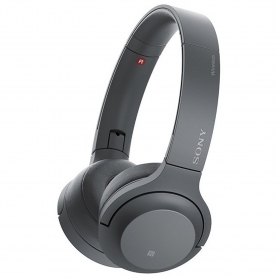 Enjoy fantastic sound quality wherever you go with Sony’s wireless headphones. Check out the WHH800BCE7today.